New from Battlefield Legends! 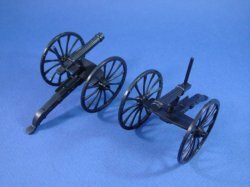 This set of 2 superbly detailed 54mm (1:32nd scale) Gatling Guns is authentically crafted to the highest standards in durable hard plastic. Suitable for your Civil War, Indian Wars, Zulu, Foreign Legion or Spanish-American War diorama or collection. 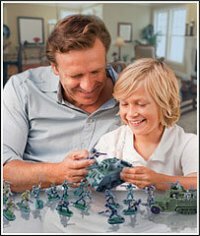 More and more toy soldier collectors are discovering BMC products due to their high quality and very affordable price. BMC sets are compatible with all Britains Super Deetail, Conte, CTS, DSG of Argentina, TSSD and Barzo figures and accessories.